. إن الخدمات التي يقدمها Paradise Inn تضمن للنزلاء إقامة مريحة. يمكن للنزلاء الاستمتاع بالميزات التالية: واي فاي في المناطق العامة, صف السيارات, التوصيل من وإلى المطار, غرفة عائلية, مرافق للشواء أثناء إقامتهم في هذا المكان الرائع. لقد جهزت هذه الإقامة الفندقية بعناية فائقة لتوفر مستوى عالي من الراحة. في بعض الغرف يجد النزيل غرف لغير المدخنين, مكتب, شرفة/ تراس, مروحة, اتصال لاسلكي بشبكة الإنترنت (تطبق الرسوم). كما أن مجموعة الخدمات الواسعة الموجودة في الفندق لضمان راحتك تترك لك الكثير من الخيارات لقضاء وقتك أثناء فترة إقامتك. يحظى فندق Paradise Inn بموقع ممتاز وخدمات يصعب منافستها. Standard affordable accommodation. Rooms get cleaned daily. Staff are friendly and helpful. I stayed here with my 10 month old and my 14 year old. We were out exploring the island each day and back to Paradise Inn to sleep. Avarua township is 10 mins walk down the road. The store at front of Paradise Inn sells everything you need, even nice curry/rice dishes. There is a bus stop right outside. This place is handy to everything and rooms are clean and tidy. Great place if you like dirty cats in your bed!!! Drapes did not shut all the way, privacy not ideal, shower nozle missing, water running in the wc all night. Minor fixes could make this place a really nuce place. Host didn't know I was coming since I reserved the same day, but still, if I know when I get an email message even across the world in an airport, a business host should as well. no good . would stay there again. I loved it. It was just 10mins walk from the center of Avarua and immediately on the nice sandy beach. Room was big and actually a studio with kitchen so excellent if you wanted to cook. Helpfull staff. I would definitely stay here again. I returned again a week later and the only complaints I would have concern the other guests, who would arrive or leave at all times of the night and be very noisy in the process. Sadly I was there on a Sunday when there is no guest service - and with gas having run out there was no hot water nor was it possible to use the cooker. It was so so since we only need couple hours of rest in a place near the airport at night. It meets our needs for a reasonable rate in rarotonga. Feeling safe and comfortable, great location. I would highly recommend Paradise Inn. It isnt a luxurious resort, and i knew this so met my expectations exactly. It had everything I needed - cooking / self catering wise, 2 ring gas stove, fridge (with freezer compartment) all utensils (however anything that isn't there, is available in the main bar area where there were also other handy items like ketchup and foil and fish knife etc). The shower was powerful although I had to bend own a little to rinse my hair, but I'm nealy 6ft and get that at most places! I started out booking a single room as until I got there, thought this would make me feel safer as had read it was next to the reception, however when I saw the set up upon arrival, I asked to change to the double room. These were great rooms - the bed is upstairs and had a rolling wooden blind that u can pull down to almost enclose this top area, downstairs was a single bed, table and chairs, nd the bathroom and kitchen area. The room had a good feeling to it and I was more than happy chilling in my room on the evenings I didn't go out. I ate breakfast (made in room) on the deck every day overlooking the ocean - not a bad tart to the day at all!! The staff at the Paradise Inn were nothing less than superb.managers and housekeeping - I didn't come into contact with anyone else, but have heard good things too. Staff was great in swapping my rooms out, helping me out with local info and tips, bad everything else Inbetween. Staff went out of her way to look up some places or me to stay for my onward journey (I'm traveling the world) and she was so conscientious, friendly and a really pleasant person to chat to each morning. A good bunch all round. Location wise, u can't stay anywhere more central really. Locals are some of the most friendly I have met anywhere. The beach isn't really for swimming, but a short bus ride to Muri beach is what u want to do - breathtaking!!! enjoy your stay!! very nice hotel in such a great location. only few steps away from the bus stop, walking distance to shops/restaurants/market in the main town. 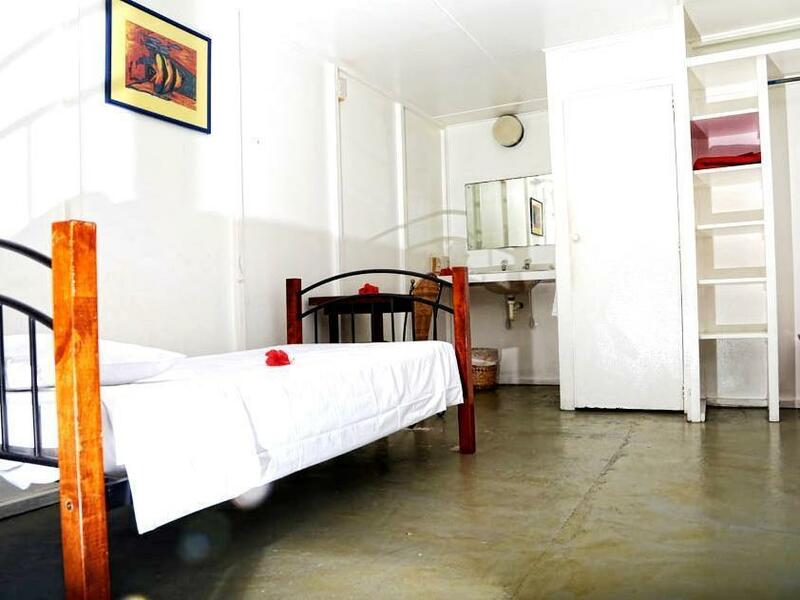 very clean and comfortable rooms; and for the price, you can't find a better deal on rarotonga. you can catch the bus and be at the best beach (muri) in 15 minutes, spend a day there and come back on a later bus (23:00). 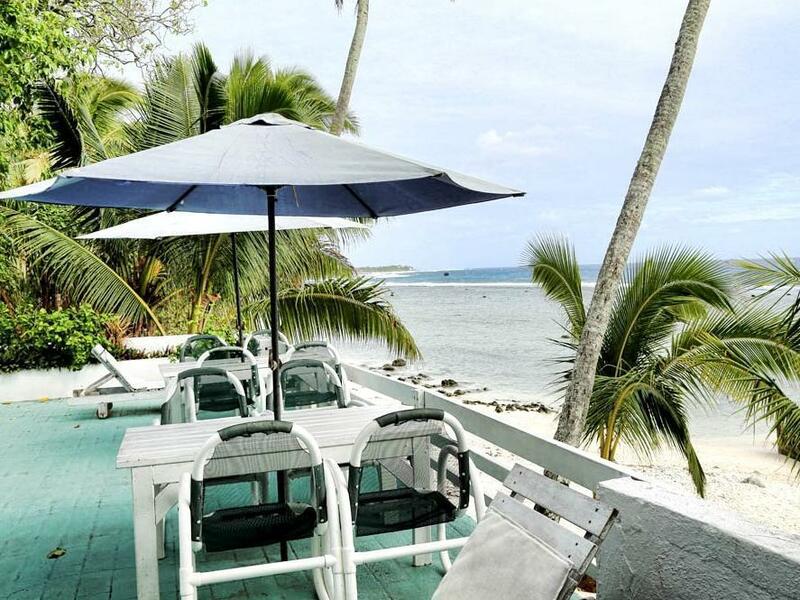 their lounge room is beautiful and equipped with everything you can possibly need, including a great selection of books about rarotonga. the owners are amazingly helpful and nice! they let me check out at 21:00 for my late flight, which is unheard of at any other hotel (even if the room is not booked). thank you so much for such a wonderful stay!! THis was a great hotel for a couple of night stopover before flying home. The price was great, you could walk to town. It is on the ocean, very clean, comfortable and spacious. Had 2 nights at the end of my Cook Island Holiday before flight home. Was great as I could walk everywhere, still be on a beach and the price was great too ! We only spent a stop over night at Paradise Inn but found the bed very comfortable, facilities clean and tidy and room very quiet. A pedastool fan was provided. Our room was split level with bed upstairs and the living area and bathroom downstairs, so make sure you are happy to use a spiral staircase to go to bed. The owner was very welcoming on our arrival and helpful in the morning as we left. Please note we did not have any meals on site but the hotel is close to restaurants so have rated food/dining as 4. It was a lovely stay - comfortable room in Pacific style, location just at the seaside. Beach was quite private, I was mostly the only one there enjoying the scenic view :) Downtown in walking distance, bus stop in front - very convenient. I would return when again in Rarotonga. Very relaxed motel, our room was ready at 10.30am to check in plus they gave us a late check out as we had a 5.50pm flight at no extra charge. 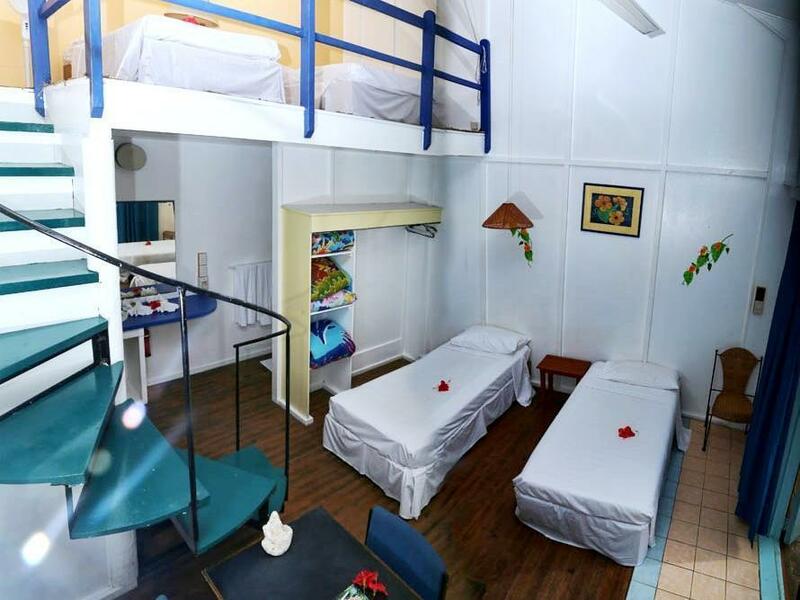 Rooms are spacious and comfortable - not flash, but everything you need so would be an ideal for a longer term stay. Right beside the beach - not a great swimming area, but fine for paddling when the tide is in, plus sitting on the beach or balcony and having a drink. Honesty bar is well stocked and convenient. Good accessibility to town (about 5-10mins walk). The motel is relatively small but room was a decent size. It is sandwiched between the main road of the island and the beach. There is no TV in-room but there is one in the common lounge. Wi-fi is not free!